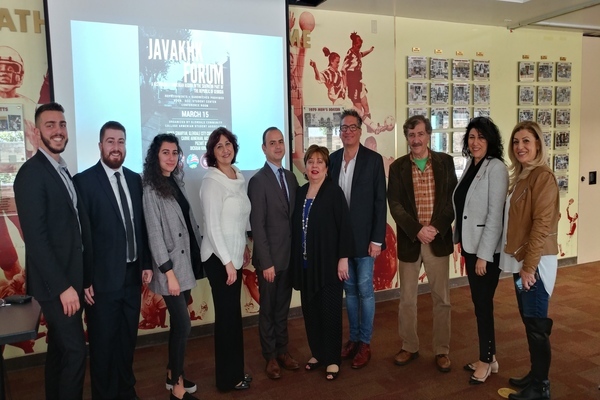 GLENDALE – On Thursday, March 15, 2018 over 100 students and guests gathered at Glendale Community College for an informative discussion regarding Javakhk – its complex history, current affairs, economy, and programs. Hosted by the Glendale Community College Armenian Student Association in partnership with the All-Armenian Student Association, Armenian National Committee of America – Western Region, Armenian Youth Federation – Western United States, Armenian Relief Society, and ARS Javakhk Fund, the forum was successful in bringing awareness about an important segment of the global Armenian community and educating others about the current state of the Armenian community of Javakhk. Panelists of the Javakhk Forum included Glendale City Councilmember Zareh Sinanyan; ARS Javakhk Fund member Carnie Armenian; Armenian Youth Federation – Western United States Central Executive member Puzant Berberian; and Armenian National Committee of America – Western Region Communications Coordinator Dickran Khodanian; moderated by Glendale Community College Armenian Student Association chairperson Preny Alaverdian. Councilmember Zareh Sinanyan discussed the complex history of Javakhk and events that have led to the current living circumstances of Armenians in the historically Armenian lands. Sinanyan also discussed the agriculture and economy of Javakhk as well as his personal experiences and relations in Akhalkalak and Akhaltskha. In his remarks, Councilmember Sinanyan provided an informative overview of the conditions of the Armenian communities of Javakhk specifically in Akhalkalak and Akhaltskha. He explained the drastic differences between some of the towns and explained the underlying factors that lead to the differences in the infrastructure, culture, and education system. “Last June, I had the opportunity to visit Javakhk with Akhaltskha being my point of destination, but I was told there was no way you could pass through Akhalkalak and not spend time there, so I also stopped and spent the day there,” said Councilmember Zinanyan. He added that although he discussed the positive aspects of the resilient Armenian community of Javakhk, it is also important to understand the harsh realities they face on a daily basis. ANCA WR Communications Coordinator Dickran Khodanian discussed the history of Javakhk dating back to the Ardashesian period and events that have impacted Armenians in the various communities of the Republic of Georgia. Khodanian also discussed his recent experiences as both a counselor and group leader at Camp Javakhk. ARS Javakhk Fund committee member, Carnie Armenian, discussed her experiences in four different communities of Javakhk – varying from rural to urban living conditions. 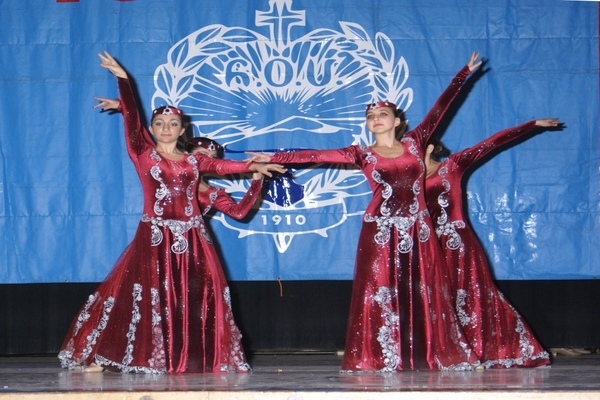 Armenian stressed the importance of supporting the ARS Javakhk Fund as the backbone and safe haven of Armenian community centers in Georgia, specifically the most recent renovation and expansion to take place of the Akhaltskha Armenian Youth Center. Armenian continued to discuss the various projects supported by the ARS Javakhk Fund, and the long way monetary donations and personal presence go. AYF-WUS Central Executive member Puzant Berberian recalled when he first heard of Javakhk through the ARS coin-bank collections, and how finally years later he was able to see the historic Armenian lands himself. Berberian, who also participated in Camp Javakhk, continued to emphasize the importance of sending assistance and visiting the landscapes of Javakhk- a region often forgotten in the diaspora. Special guests at the forum included ARS Javakhk Fund Chairperson, Lena Bozoyan; GCC Board of Trustee Member Vahe Peroumian; GCC Board of Trustee President Armine Hacopian; GCC ASA Advisor Dr. Levon Marashlian; Field Representative for Assemblymember Laura Friedman Victoria Dochoghlian; ANCA Glendale Chairman, Artin Manoukian; in addition to over 80 students. The forum becomes one of the several initiatives taking place in March that aim to educate and spread awareness about Javakhk as part of Javakhk Awareness Month. Just earlier this month, the ARS Javakhk Fund received a surprise donation of $100,000 by Haigoush Keghinian Kohler, a veteran ARS member, who has held numerous leadership positions within ARS central and regional. The ARS Javakhk Fund’s most recent fundraising events will be going towards the renovation of the Akhaltskha Youth Center.